Most children are curious and they definitely love to investigate and explore. You must have seen how fascinated they become whenever they get hold of a simple magnifying glass because it offers them a new perspective in life to become young explorers if not scientists. Children get fascinated when they see the details of common objects so they can understand the world around them. Purchasing a student microscope for your children allows them to explore and understand their world at a completely new level. When you have a simple microscope at home you actually support your young learners and the budding scientist in them so that thy can understand some depth of scientific discoveries. There are basic microscopes that are robust enough and because they have powerful magnification, they will satisfy your kids’ curiosity. Many suppliers of scientific equipment have a wide range of educational microscopes Australia that you can buy for your children. There are important features that you need to consider when you buy a microscope for your kids; this must have ease of use so you avoid any frustration. 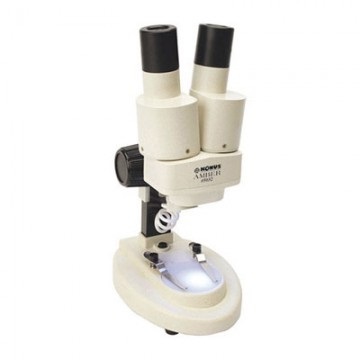 The level of student microscope you can buy depends on its level of magnification. Power: A low power microscope is enough for observing objects such as coins, flowers, rocks or insects. Most of these devices have magnification ranging between 10X to 80X and in most cases they have. The most common magnification for student microscopes is 20-30X. You could also opt to buy a higher power microscope such as those with 1000X magnification through which you can clearly observe a single cell organism such as those found in pond water, cells or hair. However, less expensive microscopes with two eye pieces are good enough for children. Power source: There are a number of models that are rechargeable or cordless and this makes it easier for your children to carry them whenever they are going on a filed trip. Construction: The student microscope you are going to buy has to have a metal frame, a built in light source and an optical glass lens. Some people opt for cheaper models but this ends up being a waste of money because such devices have a poor resolution and the frames are flimsy. Look for lenses marked DIN because they are high quality and meet industry standards. Also try and get achromatic lenses which have an in built color correction and not much distortion. These are features that provide for accurate viewing for children. Light source: There are light bulbs that produce heat and they limit your child’s view with live specimens. Look for fluorescent or LED bulbs because they are generally cooler and avoid tungsten and halogen which are hotter. Controls: Look for user friendly controls that are appropriate for your child’s age. If your kids are younger go for simple models but remember that older kids will love a microscope Australia with higher magnification and more control knobs.